This book is a collection of short Sci-Fi stories put together to show that Sci-Fi doesn't have to be scary and grim. The future can be bright and even funny. It doesn't have to be all scary aliens, death for humanity, etc. I needed this book. I didn't realize how much I needed it until I started reading the stories and realized I was mentally prepping myself for all negative outcomes. Sci-Fi has become littered with depressing stories and this book was just the antidote I needed for all that negativity. Almost every story in this book left me feeling better than before I had read it. They are upbeat and hopeful about humanities chances without being sappy. There's still death and destruction, but you root for your heroes and don't feel traumatized afterwards. Also, while every story deals with space, each story has a different aspect of space Sci-Fi. One story has a contemporary location and technology. One story is about space pirates. Another story is about space cowboys. There is so much variation on the theme of Positive Space Sci-Fi. It's awesome! 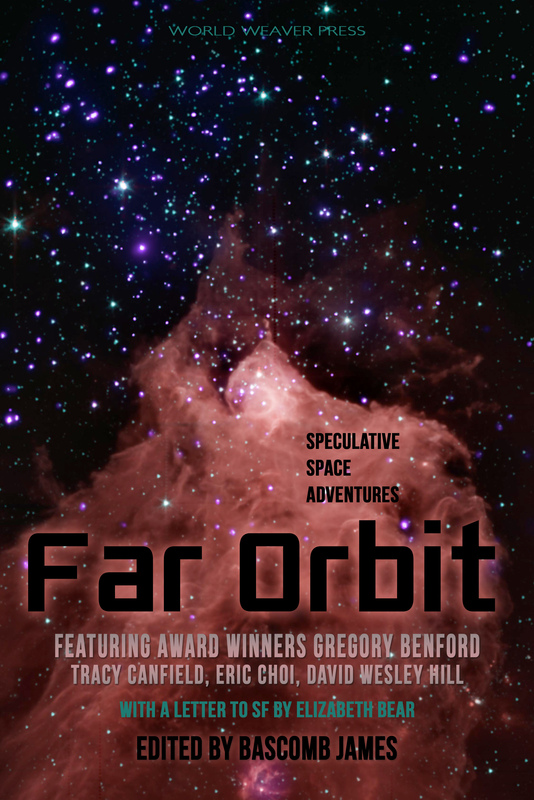 So if you're tired of scary, judgmental Sci-Fi, or if you want a collection of good reads, I highly recommend Far Orbit from World Weaver Press. I was so happy to read this book. It was a buoy in a time of grim, dark reads. 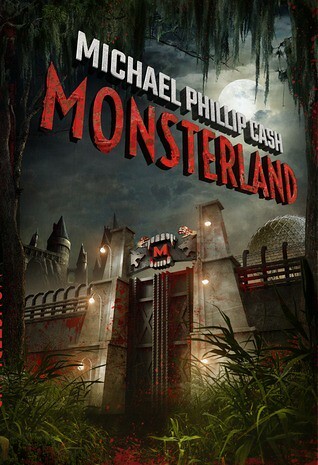 In a world where werewolves, vampires and zombies exist, one man’s solution is to open theme parks across the globe, using these various ‘monsters’ as the attractions… and this is how Monsterland is born. After a chance meeting with the park’s creator Dr Conrad, Wyatt and his friends score tickets to the big opening night of their local Monsterland park and we’re invited along for the ride! What could possibly go wrong? The intriguing premise, somewhat reminiscent of Jurassic Park, is what drew me in to picking up the novel and I was excited to find out just what would happen when the Monsterland parks launched. Of course, it’s clear right from the start that housing a bunch of so-called ‘monsters’ in a theme park isn’t a good idea, and I really enjoyed finding out just how it would all go wrong. The book built up to be quite action-packed and had a few twists thrown in along the way. The basic idea of the Monsterland parks would definitely be well-suited to a cinematic adaptation, and I felt the way it was written reflected this. In all honesty as much I enjoyed the concept, I didn’t love the characters. Although we’re not given a huge amount of background information about what happened leading up to the creation of the parks, we have just enough to follow Wyatt and co. for the opening night of Monsterland. I would have loved to have known more about the world in which the story takes place, as well as our main characters, but I understand that this wasn’t necessary in telling this standalone tale. Monsterland is a fun novel with an interesting concept and is a great quick read, especially if you’re looking for something a little different. It’s one for you to pick up if you like a little bit of horror - and social commentary! to breathe, to speak—to live. her family chalks it up to a cruel side effect of her medication. But Aza doesn't think this is a hallucination. [suddenly] something goes terribly wrong. Aza is lost to our world—and found, by another. I'm going to say it straight off the bat, and no, it's not really a spoiler. Aza dies. Well, sort of. It's confusing. Aza dies, but awakes on a ship in the clouds, able to breathe clearly and deeply. She is told that she's not actually human, but belongs in this sky-ship world where birds live in their lungs, and magical songs are sung, battles are fought, lives are lost. All while Earth below is (mostly) oblivious to what's going on above the clouds. The story in general was fine, and I really liked the beginning. I like Aza's character at the start, and loved her best friend Jason, but as the story went along I got tired of Aza and didn't really feel sorry for her or care for her much at all. 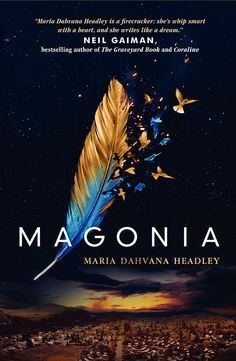 It was if it went all downhill (for me) after Aza discovered Magonia and the sky ships and the people there, which is sad, because that's the whole main point of the story. 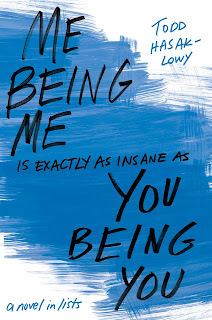 It was beautifully written, however, in first person from Aza's perspective and occasionally from Jason's. There were some beautiful lines and paragraphs within the story, but the way it was written still didn't grip me enough to not get bored by the end of it. If you liked YA, and fantasy, a bit of drama, a little bit of love, a whole lot of birds and flying ships, totally give this book a go if you haven't already. It was definitely an interesting story, a fresh idea with actual historical references, but not awesome enough for me to love it. Sorry! It's hard to write this, I think, because so many people loved this book. But at the end of the day/review, it's up to you to read it. It's up to you to decide whether you like it or not. Please tell me you loved it and it's just me who didn't like it. 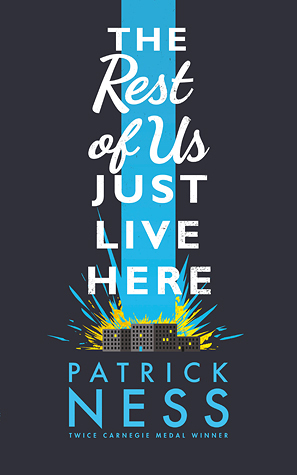 Features | Do dystopian novels reflect the real world? Since today was the release of Mockingjay part 2 (in the UK at least), it felt only right that today's post was focused on the Hunger Games. Warning #1: This post is going to touch on wars and events that are currently going on in the world at the moment. If this is going to upset or scare you please don't read on. It's easy to read dystopian novels and see them as something that couldn't happen. Whilst a reality TV show where children murder each other is probably a little far fetched, there are definitely parallels between this and historical events, the most obvious being the 1917 Russian revolution. Both started with a heavily capitalist society where the rich are extremely rich but the rest of the people are essentially peasants. They also had similar ruling structure. Then comes the communist rebels. It's clear that district 13's is run under a communist regime, and Coin's intention is to overthrow Snow and enforce a communism upon Panem. This is basically what happened in Russia in 1917. The Bolshevik communists overthrew the Tsar (the Russian king) and seized power for themselves, marking the beginning of Soviet Russia. It's also clear from the book that Coin is corrupted by power, just like the Soviet dictators like Stalin were. Whether Collins deliberately modelled it on the Russian Revolution I don't know (it seems likely to me that she did since the comparisons are fairly obvious). However, it does show that dystopian novels may not be entirely fictional. Just like with fiction books, it's possible to form a detachment from events that happened a long time ago, and dismiss them as things that would never happen again. With events that are happening today, it's much more difficult. A prime example of this is the current war in Syria. The rebels fighting dictator Al - Assad is not that dissimilar from the rebels fighting the Capitol. Additionally, dictatorships like President Snow's do exist in the real life. It's easy to take freedom of speech for granted living in a western civilisation, but in North Korea political dissidence is a punishable offence. 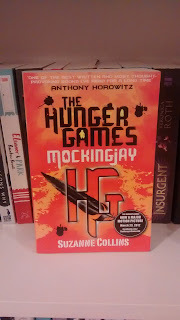 So is the hunger games just a fiction book, or is it something more? 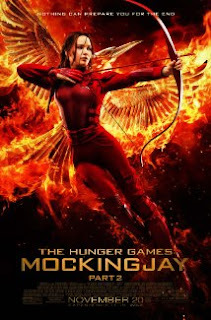 In Thailand, doing the hunger games three finger salute is banned at protests. It's more than just a book. For some people, its become a symbol of resistance. "Dystopia" may not a thing that only exists within the bounds of fiction, and that's scary. Sorry for the slightly deeper post than usual, hope I haven't freaked anyone out too much! *Image and book provided through NetGalley. 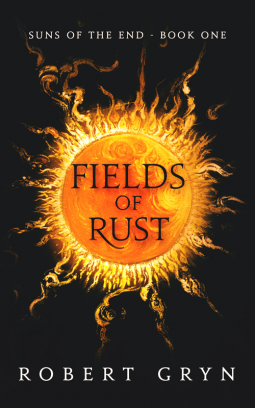 Based on the Hindu religious work The Mahabharata, this book, Fields of Rust, tells the story of a world where there are painfully few stars in the skies. Where the gods are those who understand and can manipulate the highest levels of science and existence. Where machines are both tools to be used (in the forms of armor, weapons, transportation, etc.) and living, sentient creatures. Holy wah! I love this book. Yes, it is a very long read. Yes, the ending made angry because I didn't get the closure that I wanted. But this book was still so good! This book had me energized and burning for more the entire way through. I almost cried for characters who had existed for only a chapter or two. Gryn does a marvelous job of combining science fiction and steampunk elements into this book. There are a lot of transitions in this book. From one character's perspective to another's, from present to past. The character perspectives are transitioned by the ending and starting of different chapters so they're easy to follow. The present to past transitions, however, can be a little tricky. It wasn't too often that I got confused, especially after hitting the flow of the book, but there were a couple that made me have to go back a page to figure out what was going on. This book is not for casual readers. It is an intense read that requires a lot of time. But oh what fun that time is. I would love to see this turned into an anime (if The Mahabharata) hasn't already inspired an anime. The godly armors and weapons would be amazing to behold. I am hoping that the second volume will be able to keep up. BB: Hi Rapunzel, welcome to Blogger's Bookshelf! Could you tell us a little bit more about the girl behind the blog? Hi, I’m Rapunzel - a girl with a love for books, music and … physics. A bit of an odd mix, but you would be surprised at how well they go together. You never know when you might write a story about an astronaut who also plays the double bass! I think it’s a great thing to be able to write your own world to escape into and for others to share in that joy by reading about it. BB: What made you decide to start a book blog? And what has been your favourite part of blogging so far? 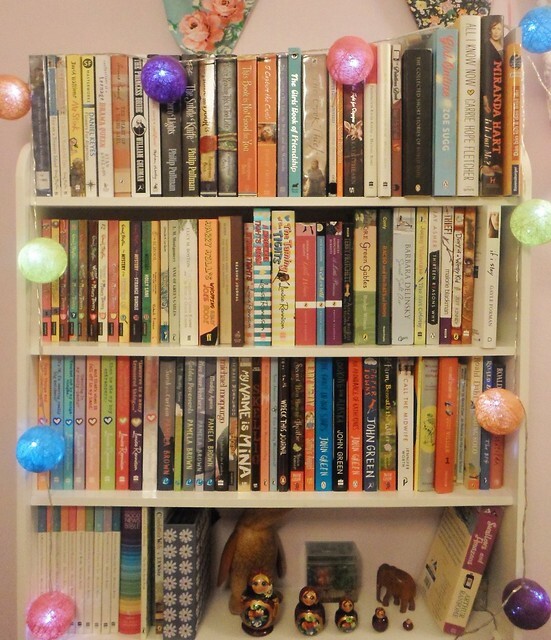 I first started my book blog when I was stuck at home, feeling poorly with nothing to do. So of course, instead of resting, I designed a blog and posted my first short story. In the beginning, I don’t think anyone was reading it apart from my granddad! Yet slowly but surely, I gained a few readers at a time and now I am able to share my book reviews and creative ramblings with people I wouldn’t have otherwise met. That is my favourite thing; anyone from anywhere in the world can comment on my blog and it really makes my day. BB: As well as posting reviews you also share your own short stories, monologues and poetry. How long have you been writing? Do you have any advice for any of our readers who might want to write their own original stories/poems? I have been writing ever since I was able to, really, but I only started to make it a hobby when I was about twelve years old. At secondary school, they introduced us to the concept of monologues and I really liked the form of expressing a character’s deepest emotions, so I started trying to do it myself. If you want to write your own original poem or story, I would advise you to write from the heart about something which you are thinking about or feeling now and it will probably flow easier. Sometimes though, you just have to go for it and enjoy it. Who cares if it isn't perfect? BB: Which authors would you say have been the biggest inspiration to you as a writer? Ooh, that’s a tough one. 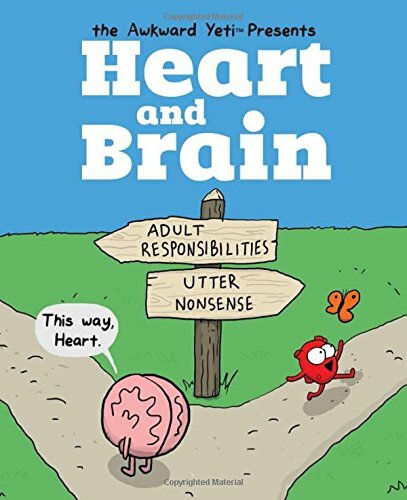 Louise Rennison writes really funny books for teenage girls and I would like to be able to make people laugh in my writing too. Roald Dahl was also a fantastic writer and his books were probably the first ones I fell in love with as a little girl. 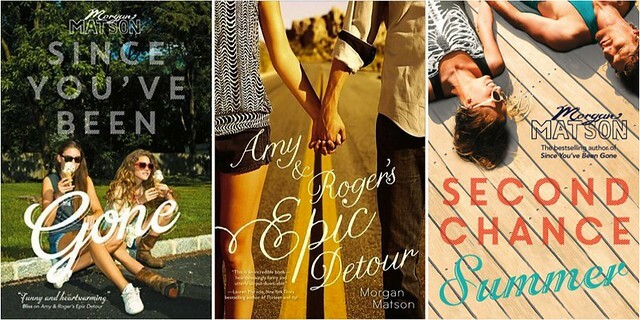 BB: We love a good recommendation, if you had to pick your top reads of the year so far which books would make the cut? I would have to say The Secret Diary of Adrian Mole aged 13 ¾ by Sue Townsend because it made me laugh so much, To Kill a Mockingbird by Harper Lee because it’s such an amazing novel, The Curious Incident of the Dog in the Night-Time by Mark Haddon which I have reviewed on my blog and the book I am currently reading, which is The Book Thief by Markus Zusak; it’s so good. There are loads of characters I would love to meet, but I think Paddington Bear from the books by Michael Bond would be a lot of fun. He’s always getting into mischief, but you could never be annoyed for too long because he’s so funny. The top three blogs I read regularly (apart from this one of course!) are: Monthly Marker, Journal of a Bookworm & In the Life of Anna. The first two both contain book reviews and the last one is a lifestyle blog. I'd like to say a huge thank you from all of us here at BB to Rapunzel for taking part in this interview. If you are a booktuber or book blogger and would like to be featured in a similar post we'd love to hear from you - just email us at bloggersbookshelf@gmail.com for information! If you're anything like me, you're right in the midst of your latest NaNoWriMo project right about now. If you're even more like me, you're about 3000 words behind today's goal with no idea what's going to happen next in your story, but your Pinterest inspiration board for your novel is probably looking pretty fly. In the true spirit of slightly useful procrastination today I am sharing with you five extremely useful books on writing, any of which might help you if you're also struggling to keep up with your novel. I can't write a list of NaNoWriMo books without mentioning the NaNoWriMo book. 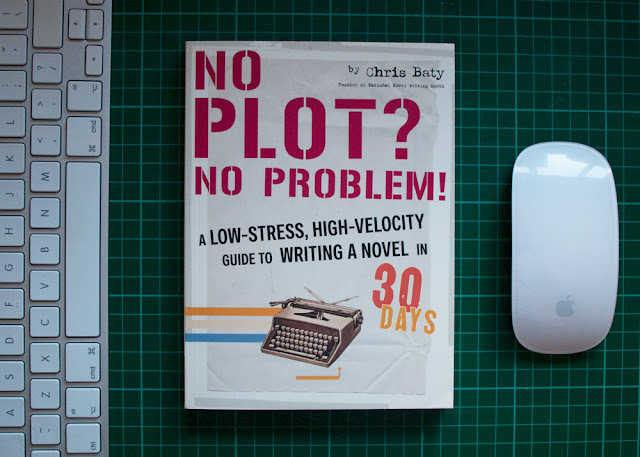 Written by the founder of NaNoWriMo himself, Chris Baty, No Plot? No Problem! is the perfect guidebook for this mad month of writing. It is exactly 50,000 words long and split into different chapters that are to be read before the month starts and then at the beginning of each week in November, addressing common problems for each point in the month for maximum writerly inspiration. I first read this one (and the next book on this list) a few years ago but I go back to it again and again every time I start a new project. If you struggle with creating complex characters, or even if you just want to brush up on the different types of characters out there, this is an excellent guide. 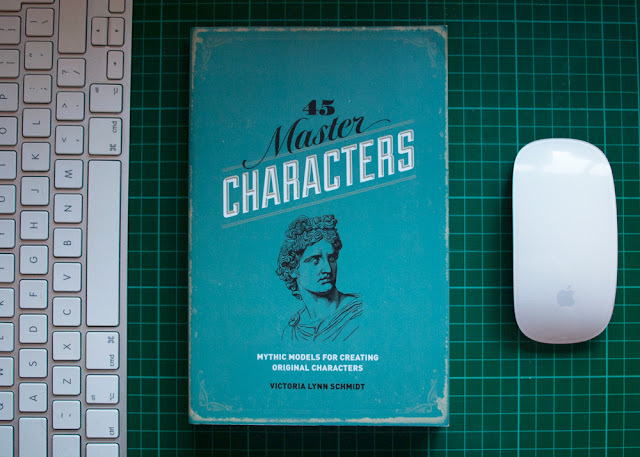 It won't give you a step by step for creating a realistic character, but it will definitely help you understand your own characters better and give you a few ideas on how to flesh them out. As you can probably tell from the covers 20 Master Plots and 45 Master Characters are from the same series and they both follow a similar sort of structure. They are also both equally useful and I refer to both of them more than any of the other writing books I own. 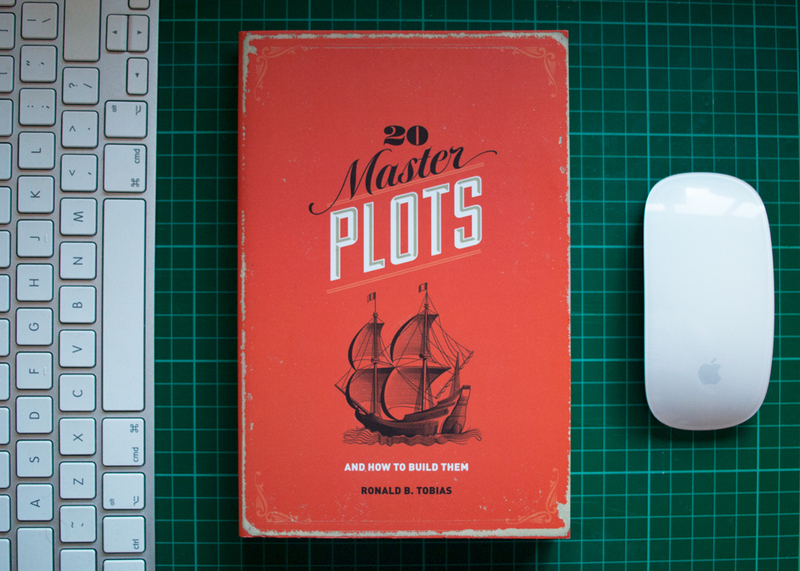 The idea of there only being a finite number of plots isn't a new one but Tobias presents his plots in this book with detailed examples of stories you're probably familiar with and he breaks down each of the plots in a way that can really help you to pinpoint exactly which plot is right for your story and how you might develop it. This one is more about the general art of fiction writing. Rather than addressing any one aspect of novel writing, Lodge uses examples from famous texts to demonstrate concepts such as 'The Unreliable Narrator', 'Showing and Telling', and 'Symbolism' in a series of short essays. 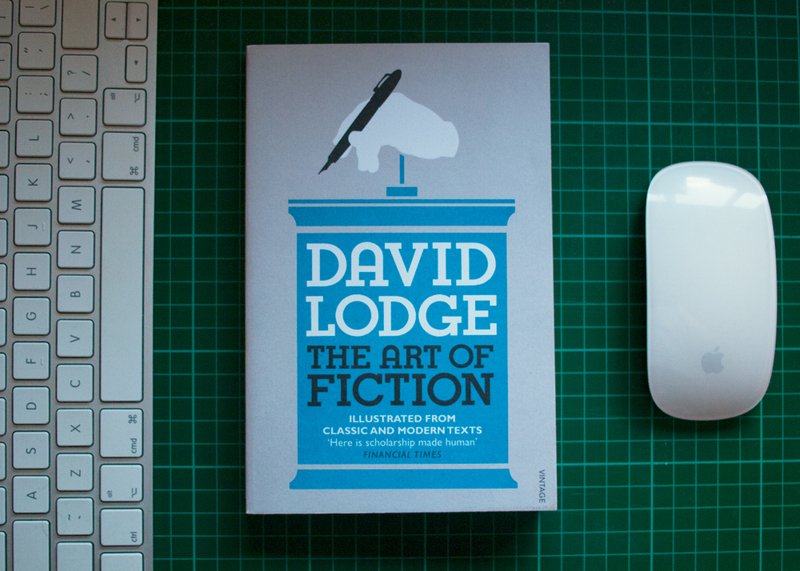 If there is a specific aspect of the craft of writing that you're struggling with, you can probably find an essay about it in The Art of Fiction. This last book has nothing to do with the craft of fiction writing whatsoever. Being a Writer is about exactly that. It's about not only how to get yourself to actually sit down and write that thing you've been thinking about forever but more than that, it's about how to think like a writer. I think a lot of writers would probably find themselves reflected in this book (particularly the section where Brande talks about the things that hold back different kinds of writers.) 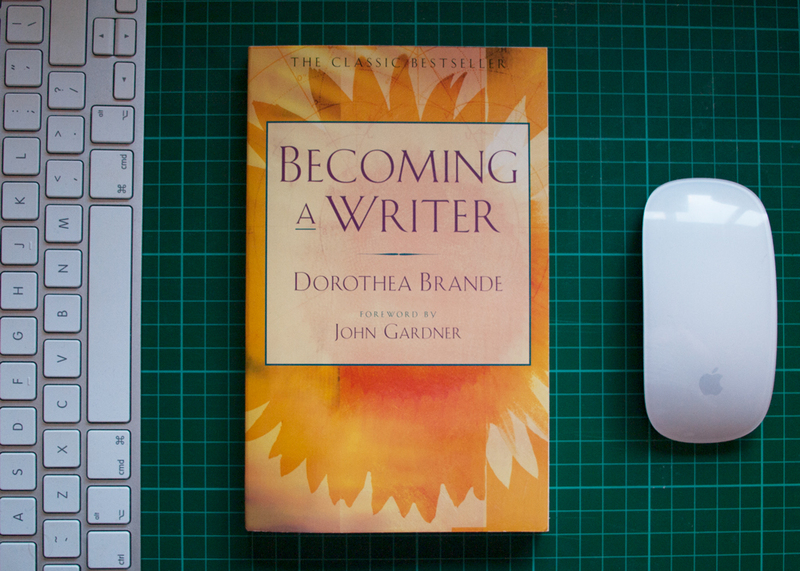 Brande understands writers and her book might be the thing to kickstart you into finally writing like a writer. 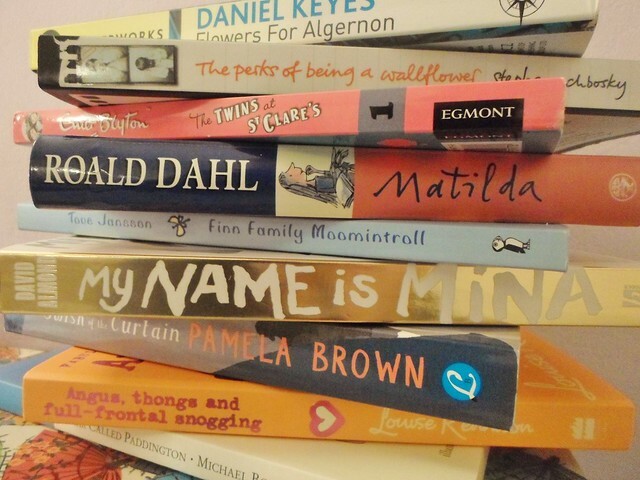 So those are my five, quite varied, recommendations for books about writing to help you through NaNoWriMo (or any writing project!) Are you doing NaNoWriMo? Let me know how you're going in the comments! And feel free to share your own recommendations for books about writing. I am a fiend for books about writing. 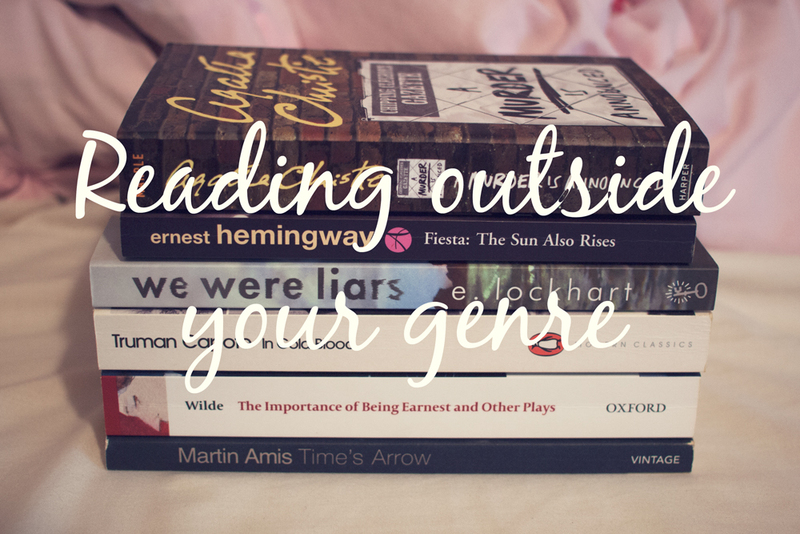 Then there are the mediocre ones that it seems everyone's reading. Warning -if you are an easily offended obsessive fangirl (or boy) I would advise you don't read this post - things might get a little controversial. I don't think many people will disagree with me on this one, but the third hunger games was a massive disappointment. It wasn't bad, but didn't live up to the standards set by the previous two books. Having said that, I'm still ridiculously over excited for the last movie. Another book that I enjoyed a lot less than I thought I would was looking for Alaska. 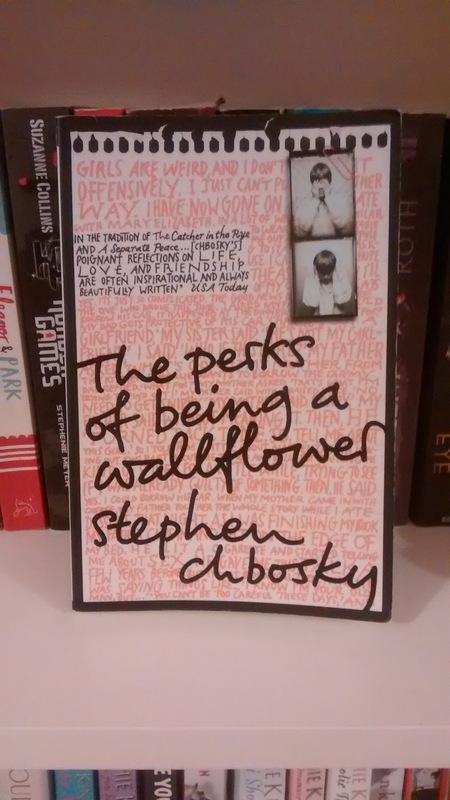 In fact, I didn't just think this book was mediocre - I actively disliked it to the point where I couldn't finish it. I found the characters to be slightly shallow and irritating, and aside from the twist, the plot was thin. I know a lot of people that love it though, so maybe it just wasn't for me. 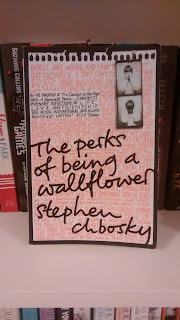 The perks of being a wallflower is another book I don't really understand the hype around. I do see the merits of the book - it's well written, the characters are interesting and it handles difficult issues reasonable sensitively. However, I found the story really difficult to get into. If you're not too bothered about plot and prefer reading about characters thoughts and feelings then you might really like this, but it was a bit too slow for me. Finally, we have my sisters keeper. To be fair, most of the hype is around the film, which I assumed meant it applied to the book as well. It doesn't. The idea for this book is so good, but in my opinion it's not executed well. The point of view is constantly switching which makes it unnecessarily confusing and much harder to get into. The film tells the story far better. What books do you think are over hyped? Unspeakable swung between three and four stars constantly throughout the book and I wasn't sure what my final decision would be until I read the last line. Megan doesn't speak. She hasn't made a sound since her best friend died, but when the exotic Jasmine joins Megan's school, they become closer than Megan ever imagined. The book has an air of mystery about it, with so many questions arising within the first chapter and remaining unanswered till the very end. I loved the mystery aspect of this story and the twist at the end was a little predictable but I enjoyed watching it play out. This next paragraph, whilst not having any spoilers, may not make sense unless you've read the book. For some reason, I felt as though Megan's confusion throughout the book was unnecessary. Thinking of it objectively, as events and emotions separate from the story, I can understand why she was so confused throughout parts of the book, but put together with the story itself, it just seemed over the top and was one of the biggest things that annoyed me about Megan. Although we saw Megan's character visit the school psychologist, it would have been nice to maybe have a professional opinion written in as to why Megan was mute, rather than just the occasional references to guilt and the aggressive voice in Megan's head that frequently made an appearance. I understood that witnessing her best friends death caused her to go mute, but it may have made her more relatable if we knew why it caused her to stop speaking rather than sink into depression, for example. 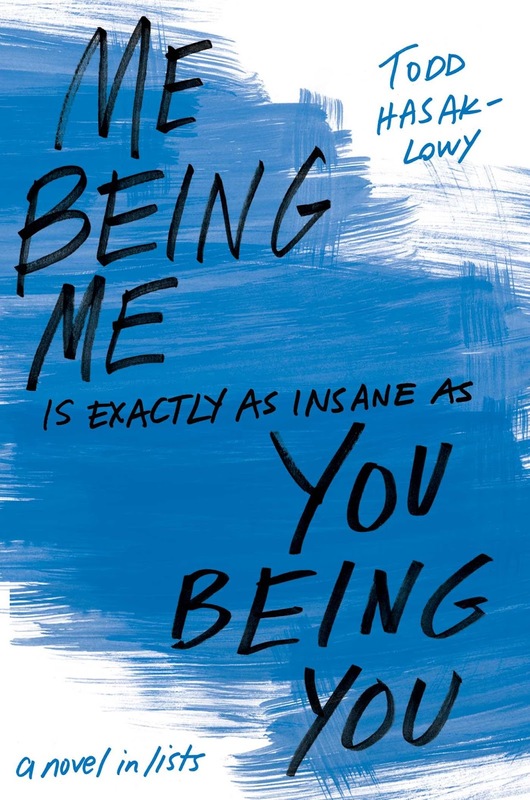 I would recommend reading this book, it did have potential to be amazing, and it ended up settling somewhere in the 'okay' realm. 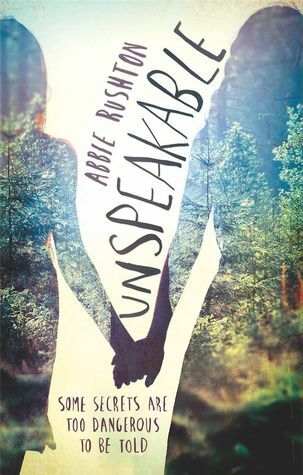 Unspeakable is probably something to read to kill time, rather than a book to clear your schedule for. I enjoyed it nonetheless.